Pixel Whisk: Bun's outta the oven! My sincerest apologies for being absent these past five weeks. Truth is, I've been quite occupied. 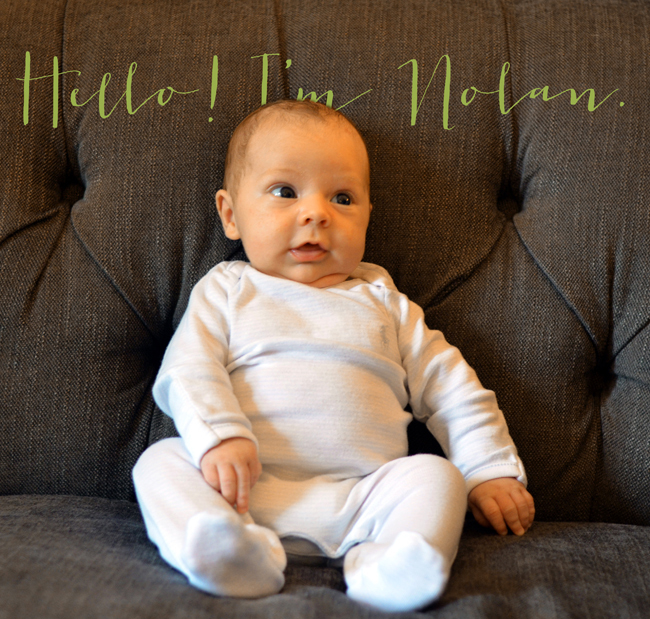 Tom and I welcomed Nolan into the world this May. Aside from being a very special first mother's day for me, it was also the beginning of non-stop parenting. There have been many sleepless nights, hundreds of diapers and spit-up is the new fashion statement in my house. That said, we couldn't be happier and we feel so truly blessed to have this 'lil man in our lives. I promise to get back to sharing delicious treats with you soon (maybe I'll take a nap first). In the mean time, get yourself an ice cream cone, take a dip in the ocean and enjoy your summer! See you soon. I love your blog. Thanks for sharing all of those amazing recipes.